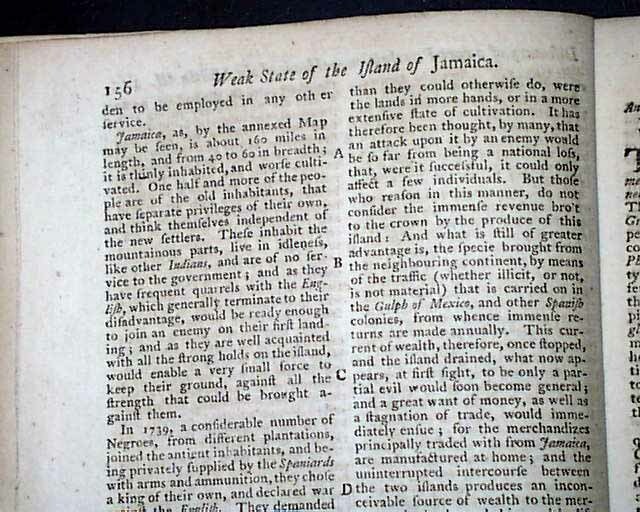 Item # 654457 THE GENTLEMAN'S MAGAZINE, London, April, 1762 Although typically missing from most issues, this magazine still contains the full page plate titled: "A Map Of the Island of Jamaica" which shows much detail. 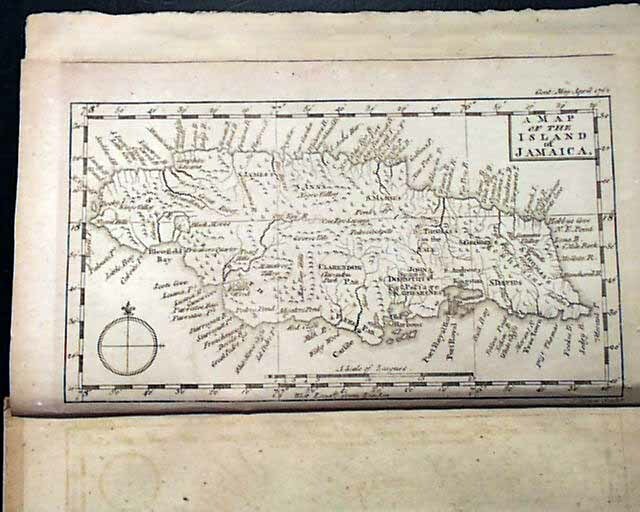 Accompanying this map is a nice and detailed article on Jamaica which describes it geographically, gives a bit of history on how it was settled, and some text on its economy. 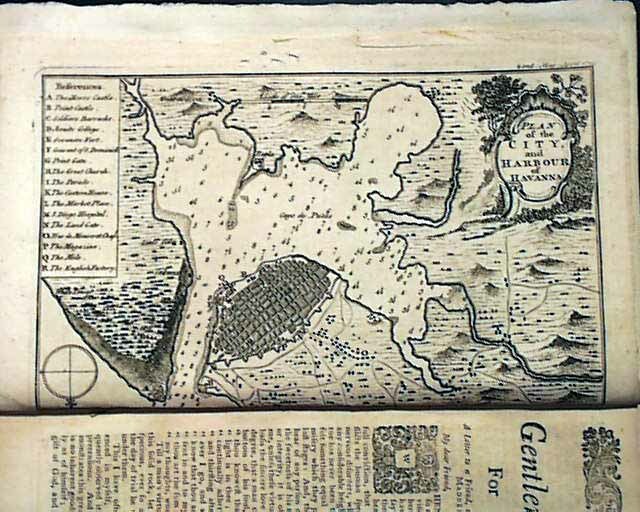 Also included with this issue is the full page plate titled: "Plan of the City and Harbour of Havanna" which also includes a key as to the various points of interest. 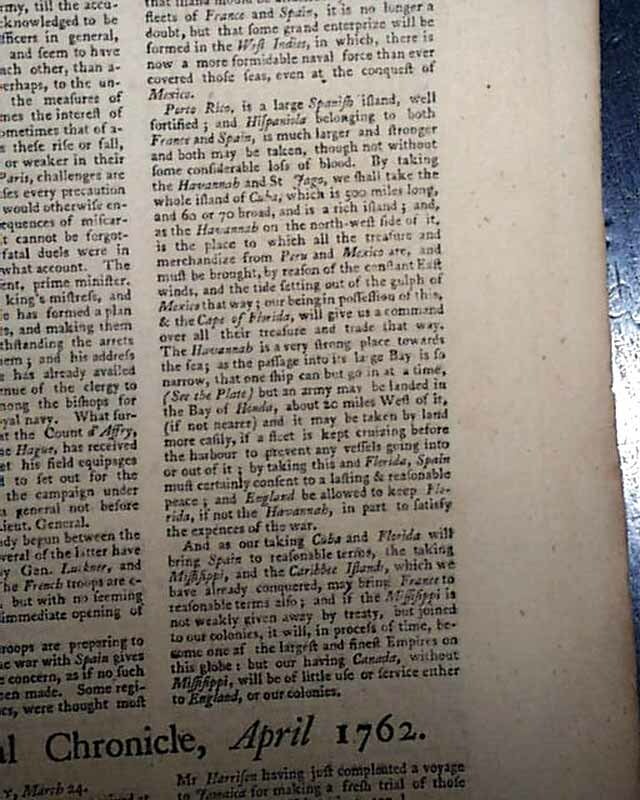 Near the back of the issue is an article which includes: "Porto Rico is a large Spanish island, well fortified; and Hispaniola belonging to both France & Spain is much larger & stronger...by taking the Havannah & St. Jago, we shall take the whole island of Cuba which is 500 miles long...And as our taking Cuba and Florida, will bring Spain to reasonable terms, the taking Mississippi & the Caribee Islands, which we have already conquered, may bring France to reasonable terms also..." with more. 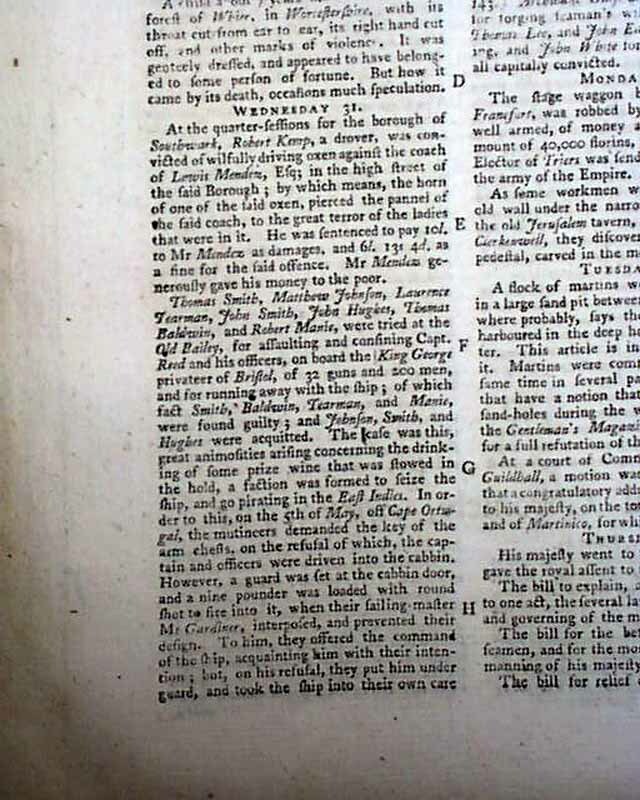 There is also an interesting report concerning the trial of seven men for piracy (see). Other articles of interest include the Articles of Capitulation for the surrender of the island of St. Lucia, which takes nearly 2 1/2 pgs. 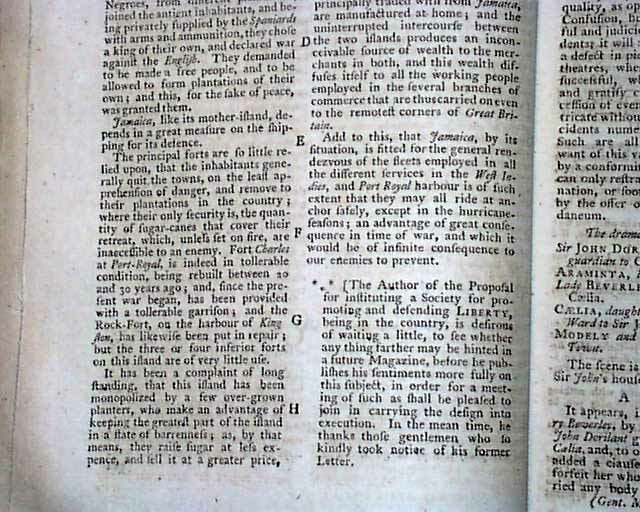 ; "Defence of the British East India Company" and "City of London's Address on Taking Martinico" among others. 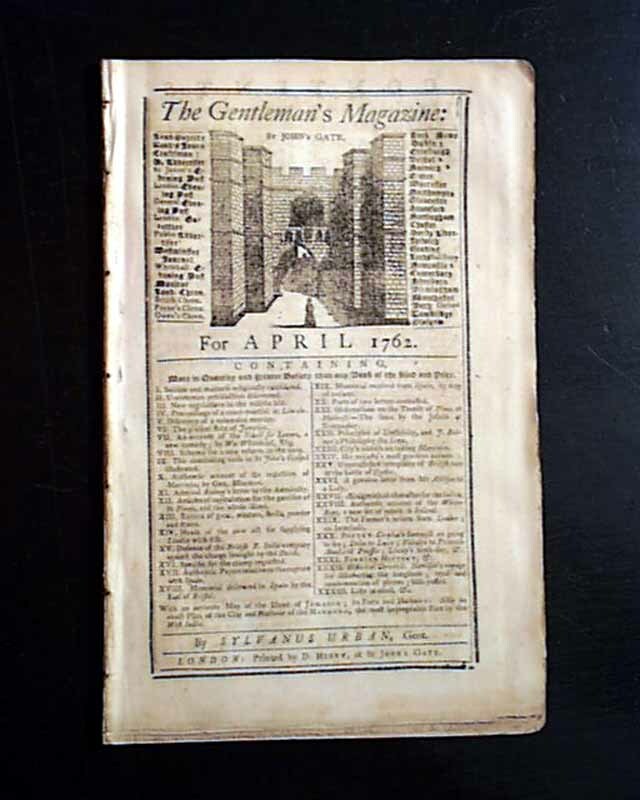 Complete in 48 pages, wide, untrimmed margins measuring 5 3/4 by 8 3/4 inches, full title/contents page which features an engraving of St. John's Gate, great condition.